He is a familiar face at camps around the world–among vernacular nerds as well as party buffs. To students he has become known as a nice guy–because of the way he introduces himself in class, but also for his effortless manner in witch he manage to embrace a wide range of genres, from hip hop to vernacular jazz, always presented with an intimate personal style. Not many people would think of him as an introvert. Well, think again! In this interview the truth is revealed, but, keep in mind: Remy Kouakou Kouame is like the Swedish summer weather, incessantly changing and full of surprises. Vernacular jazz dance, just like swing dancing, is a general term that encompasses a long list of dances. If you Google it, several descriptions appear, alongside film clips of various dancers, old timers such as Whitey’s Lindy Hoppers and Al and Leon’s Shim Sham. And clips of Remy Kouakou Kouame. His disciplining of his body matches the determination of his intellect that through telling his story significantly enlarges my understanding of this art form; how swing dancing is basically a street dance characterized by musicality and fun, freedom and personality, expressed from a personal truth. Remy’s truth is based on groove, timing and rhythm. His vivid, exciting movements make the dance contagious too. This is nothing Remy takes credit for. He simply continuously tries to push his personal boundaries, without disrespecting the roots of the vernacular art form of swing dancing. – I wish people could see the honesty in my dancing. That I’m communicate happiness when I dance or perform with a joyful interpretation. Or that I’m brave enough to dare opening up a little more with in a more intimate personal way. The latter is the hardest to achieve. Even without waiting for approval, it’s really hard to let go of fears and insecurities. I still have a long way to go to not be afraid of taking risks! Remy began dancing Boogie Woogie when he was 6 years old in his hometown of Montpellier, France. He got enrolled in his sister’s dance class as a temporary measure because they were short of leaders. The dance teacher asked his mom to borrow him. Remy did what he was asked to do and then left. Before leaving the school, the teacher said to his mother that Remy must continue. He did and he evolved quickly, won his first competition less than 3 months later and by 2006he and his partner,SarrahMontalban,became World Boogie Woogie Champions. – I wouldn’t say dancing came easy to me but there was definitely a predisposition there, because of the environment in which I grew up. My parents used to love listening to music and moving to it. I recall happy moments from home as a kid with music and expressing yourself through movement. So I think this is where I developed that comfort in moving my body—maybe—I don’t know. One thing’s for sure though, I’m not a natural and my environment had a lot to do with the dancer I am today! Having attained every goal reachable on the Boogie scene, Remy and Sarah realized they no longer had the drive to continue. In 2008, they stopped competingin Boogie Woogie and Remy’s plan was to move on to something non-dance-related, perhaps becoming a publicist or continuing his former career as a DJ and remix producer. 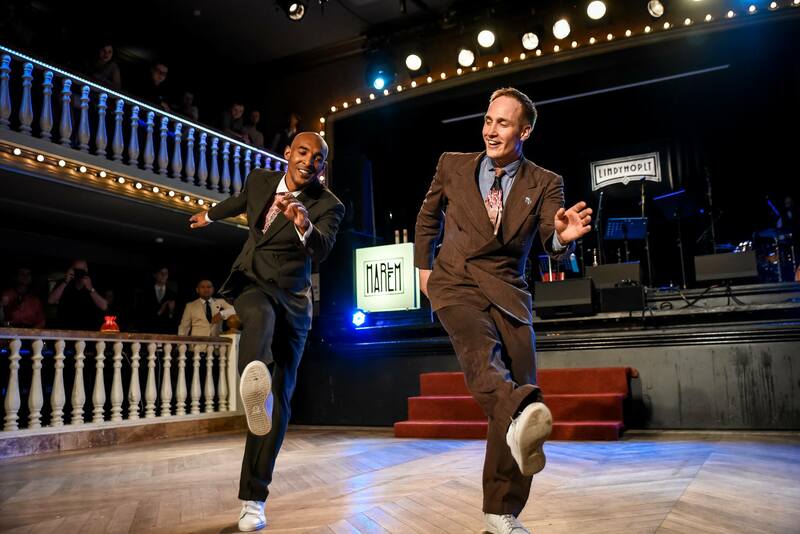 Jumping into the Lindy scene was never a desire and rumor has it that Remy even said that Lindy hop was for losers. That was before he met Skye Humphries and Ryan François. – I became close with some people in crossover camps and they convinced me to merge into the Lindy scene. Skye was one but Ryan worked hardest on my brain. He couldn’t let go of the idea of me doing the Lindy h So I gave it a try and went to practice with him and the company he had back then in London. On the very first day, I felt that I had that dance in my body.I felt connected to the spirit. Therefore I consider Ryan as my mentor for those reasons. I wouldn’t be here if it wasn’t because of him! Remys daughter’s Perle’s birth gave him a totally different perspective on life and its meaning. It also had a impact on his dancing. Championships (ILHC). Finding inspiration in everything from colleagues, his daughter and modern-day music he is an artistwho both delights in and pushes boundaries with his work. – It might sound cheesy but my daughter’s birth gave me a totally different perspective on life and its meaning. I feel my dancing changed quite a lot as well. My friends and partners have also had a big impact on the way I am and I dance today. I feel I’m the luckiest dancer on the scene being surrounded by the best dancers and human beings I could ever wish for. Moe (Sakan) helped me step ontothe scene smoothly, Alice (Mei) helps me find beauty in simplicity, Ramona (Staffeld) challenges my love for rhythm, Vince (Vincenzo Fesi) reinforces the importance of remaining true to my own self by doing so himself, Skye makes me wanna develop my understanding of the core essence of this art form, Mikey (Pedroza) inspires me to pass on the legacy with generosity. Remy is contradictory by nature. While jazz tunes and film clips of Golden Era of swing dancing ”narrow his preferences”, he freely admits that he prefers to listen to hip hop, afro and Caribbean music, “because it keeps my groove fresh”. – This is where the main challenge is in my opinion. My main challenge, actually! While I’m happy about pushing Lindy hop forward, I’m also concerned with respecting its origins. I’m not sure any more in what direction I would like to see swing dancing evolve. While my dancing evolves and changes, so do my thoughts on the subject. – It’s hard to describe as I think it’s perpetually changing depending on where my focus, my mood or my music preferences are. I have a hard time with the word “style” itself, or let’s say with how it’s used on the scene. I’m aware that seen from the outside, individuals have different styles but I’m skeptical when style is the motivation. Style should be a consequence of expression, in my opinion, not a base for it. Sometimes, I feel people define the growth of their dance journey by focusing on styling, how it looks from the outside, instead of how it feels inside. And that’s a problem to me. So I prefer not to use the word in class. Remy, as is his habit, he begins every class by introducing himself as ”a very nice guy”. Is this true, or perhaps a way to compensate for a lack of kindness? The question makes Remy laugh; apparently, I’m not the only one who wonders. – My friends often joke about this, or maybe they make fun of me. Alice thinks that saying this makes me scary because it’s like brain washing people for them to believe I’m a nice guy when it turns outI’m not. – I think that the fact that people started pointing this out made it become “a thing.” Originally, my intention was to find a way to break the ice with students. I find stepping in to a class quite terrifying, and when I say this phrase, people smile or laugh—well, at least some people do! It sets a certain tone. We shouldn’t be too serious while learning and exploring the dance. We mustn’t forget what we’re here for—to have a good time. What responsibilities do you feel you have being a star in the swing community? opportunity to share my love for this art form with people. So I care about giving themall the resources and tools that helped me find my way. But I don’t want people to think, or dance, like me. I just wish to inspire people to find their own voice and to grow their own love for the dance. Best advice you ever got about dancing: – “Why are you stubborn about not doing what others do? It’s sad because you’ll do it better than them.” This one was from Steven Mitchell. Despite the human being we found out him to be I think it’s important for people – especially new generation of dancers – to have us talk about him, in order to let them know he was important but out of the scene for a certain reason. I recall you saying something like “It’s not worth dancing unless you have something to say.” What’s your message? – I don’t remember saying exactly this. But I know that I often say stupid things in the moment. So, I think what I meant by this quote is that I wish people would develop a deeper connection to what it is that touches them, that makes them want to express themselves in this particular I don’t think I have a message in particular but it would be great if people would feel the blast I feel while dancing. But that’s not a goal either. I don’t dance to get people’s approval but to express myself! As an introvert—and I know this is something that people have a hard time believing—dancing might be the only thing in the world that makes me feel I am being myself to the fullest. It’s a strong feeling. An introvert? When and how does that side of your personality show? – I think it shows when I feel overwhelmed. Like, if there are too many people around or if I don’t feel comfortable where I am. It can also show when I’m tired. At those times, I stand back and don’t communicate verbally or physically with people other than my closestfriends. I think it show on my face. I’ve often heard that people could think I’m arrogant; that I have a big ego or that I’m cold. That did affect me a lot in the past, but it’s much better now. I’ve come to understand that I can’t please everybody. I usually say that if people think this about me, it means that they are judging me without even knowing me. So it’s kind of a natural filter. When you die, what would you like people to say? Family: Sarrah Montalban and their daughter Perle (which means “pearl” in French), 6 years in August. 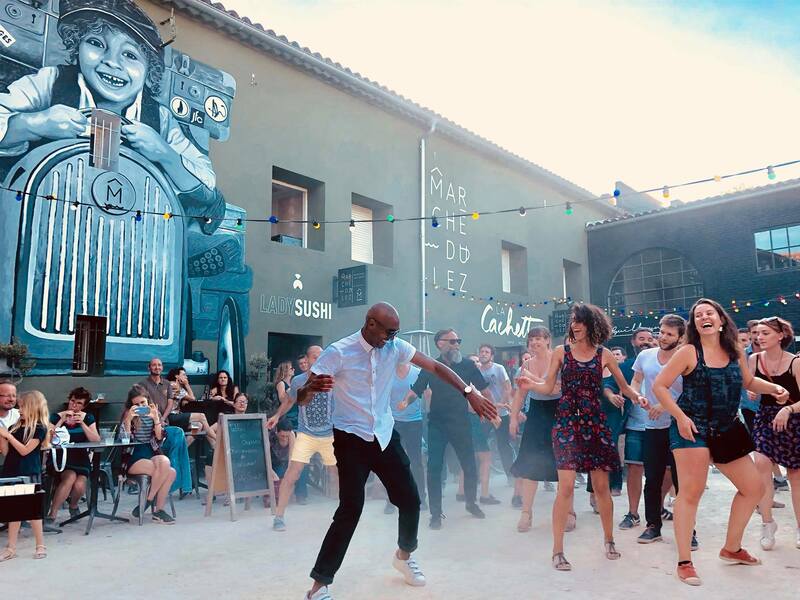 Work: Professional dancer, teacher and artist and the organizer of Xpress Your Swing, a festival that was held in Montpellier between 2012 and 2016. About Xpress Your Swing: We’rediscussing coming back. I miss it, my friends miss it and we’vegot people asking for it. So keep your ears and eyes open. We’ll be back!!! 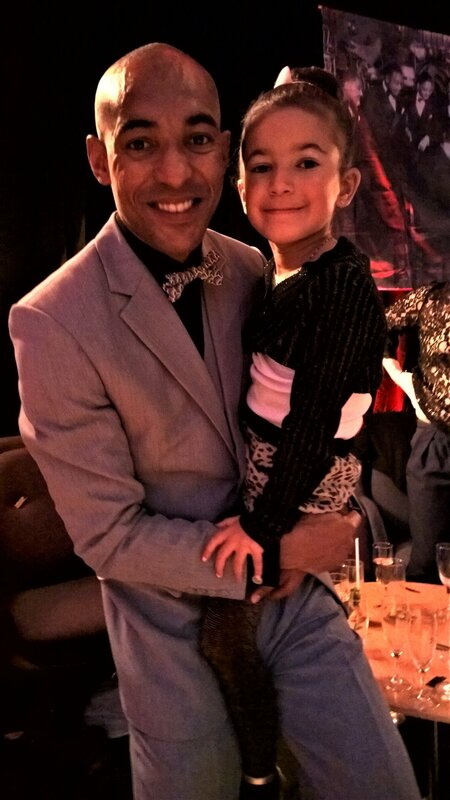 Dreams and goals: Doing my best at educating my daughter, being more present for my local scene, fixing my body, being healthier, finding mindful happiness!